Brit Floyd in Montreal or Quebec City? Inform me about the next events for Brit Floyd. Enroll yourself to our priority waiting list for Brit Floyd to be alerted when new tickets are available. Filling this form doesn't engage you to any purchase. 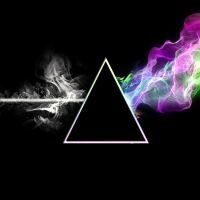 Brit Floyd : the ultimate tribute band of Pink Floyd. The group has sold over a million tickets for its concerts all over the world. Their tour called “Space & Time” will be performed at the Bell Centre on, March 24th 2016 and at the Louis-Frechette Hall on 25 March 2016. This British group will perform five decades of Pink Floyd’s greatest hits. Brit Floyd offers you the greatest hits from albums such as Dark Side of the Moon, Wish You Were Here, Animals, The Wall and Division Bell.